Reception staff are always here to help with any worries or concerns. staff at the start or the end of the session. Please can you ensure all items of your child’s uniform is labelled clearly. The children will be playing out every day, whatever the weather, so please make sure the children have appropriate clothing. If you would like your child to wear wellingtons then please send a clearly labelled pair into class. For health and safety reasons jewellery is not allowed! Your child will bring home a homework book. New homework will go home each Friday please return your child's homework book every Wednesday. Please try to spend some quality time together to complete the activities. A plain white T-Shirt, a black pair of shorts, black slip on or velcro pumps. All clearly labelled and in a small pump bag. In the Early Years at Cedars we learn our Phonics through Jolly Phonics. 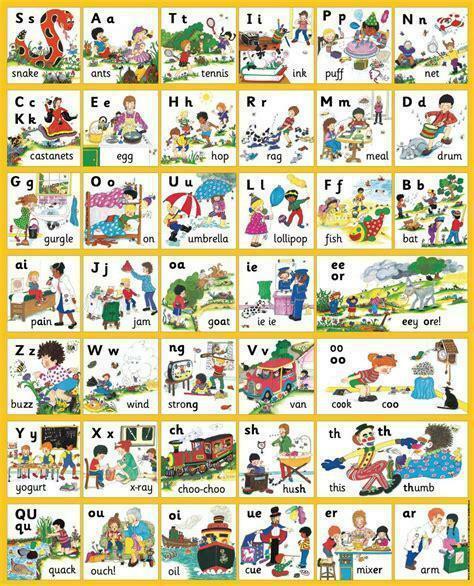 There are plenty of resources on line and examples of how to say the sounds online.